The plan gives retiring reps the chance to earn 230% of yearly fees and commissions and, partnering reps can get a 5% bonus. 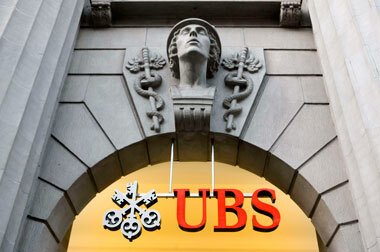 UBS Americas (UBS) rolled out a new succession program for its advisors. The effort, which has a five-year timeline, is called the Aspiring Legacy Financial Advisor Program, or ALFA. “We hadn’t made adjustments to our [existing succession] program since 2008-2009, and we wanted to align this program more with our strategies in high-net-worth and ultra-high-net worth wealth management,” explained Jason Chandler, head of the Wealth Management Advisor Group, in an interview with ThinkAdvisor. For the program, a client’s outgoing and incoming advisor works with them jointly for two years. “This way the knowledge transfers from one advisor to another and trust with the client can be established,” Chandler said. Retiring advisors can earn up to 230% of their annual fees and commission during the five-year period. The precise amount earned is based on how long they have been with UBS, the level of fees and commissions they earn from core wealth management work and from associated products and services (such as financial planning, loans and insurance), their participation in a team, and the quantity of net new assets they bring to the firm. In addition, there are two “engagement incentives” that further reward FAs who stay engaged with clients as they transition their book during the first two years of the program, according to a memo shared with advisors. The rewards will reflect retiring advisors’ growth in fees and commissions tied to high-net-worth and ultra-high-net-worth households, as well as the growth in their net new assets for 24 months. In addition, receiving advisors can earn an annual 5% growth bonus for boosting production associated with high-net-worth and ultra-high-net-worth households over the five-year ALFA program. As of Dec 31, UBS’ advisor headcount in the Americas was 6,997. Its veteran advisors had average production of $1.091 million in Q4’14, topping the Merrill Lynch average of roughly $1.07 million. Averaged invested assets per advisor reached $147 million in Q4, and net new money (NNM) for the most-recent period was $5.5 billion.